I star to draw an locksystem for the XXIII i am not clear if this is the right way. Very interesting, Gantu...more information, please. 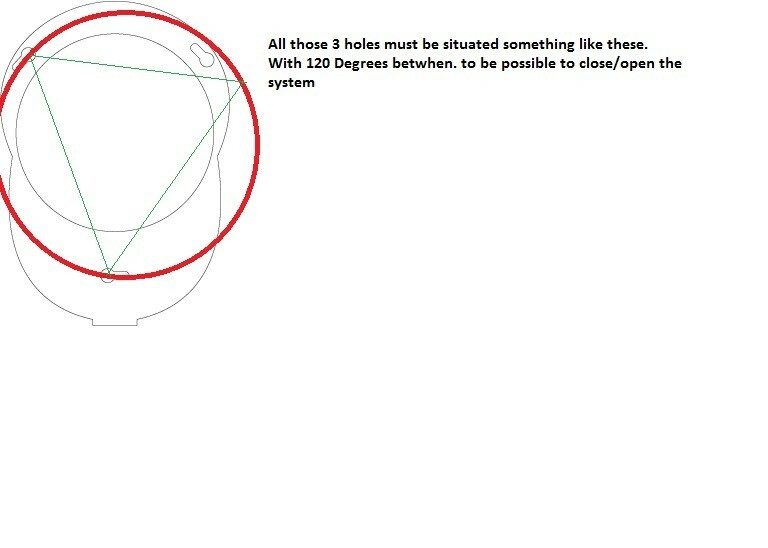 In my humble opinion to succeed to make a BAYONET locking system all the holes MUST be on a CIRCLE. Please keep us on post.